As teachers, we are continuously reflecting on the quality of the learning experiences we plan and implement with our students. 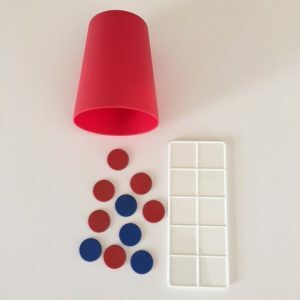 Using instructional games to teach mathematics is a very viable and successful way to engage students to explore and understand rich mathematical concepts and to extend their mathematical reasoning. In this text, The Maths Game, George Booker shares four insights into using instructional games to foster mathematics learning. I have matched each insight with a question that I use to reflect upon my own practice. Games integrated into the mathematics curriculum, using consistent language, materials and symbols. 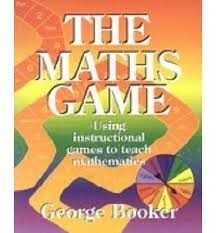 What are the underlying mathematical ideas of the game and the ways of thinking that the students are required to use? Participation is active not passive. Do all students have the opportunity to interact with the other players at each move? Discussion is needed, both during and after the game, to make concepts, processes and thinking explicit. What strategy will I implement to allow for rich discussion to make explicit the underlying mathematical ideas of the game and the ways of thinking that the students are required to use? Teacher intervention is crucial in guiding discussion and helping students adopt new concepts, processes and ways of thinking as their own. What is the instructional purpose of the game? Is the game I selected answer focussed rather than reasoning driven? What key questions do you use to select quality mathematics games? 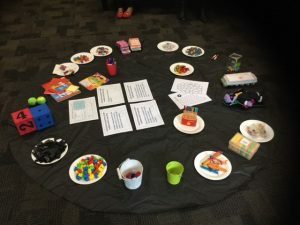 This week I had the pleasure to work alongside my colleagues at Nelson Park School to explore the George Booker’s insights in relation to using instructional games to teach mathematics P-12. In the sessions we interacted with all the materials presented to play, reshape and evaluate instructional games. The game below is a classic. So let’s get started! 1) The students collect ten double sided/two coloured counters and place them in a cup. A great alternative to the counters is lima beans that have been spray painted on one side only. 2) The students shake and spill the counters. What combination of ten have you made? If the students are playing in pairs, one player shakes and spills. The other player talks about the combination. 3. The students continue to take turns to shake and make! Change the number of counters in the cup. Tens frames can be used to support students. Provide a word splash of key mathematical language to support the students to share their understandings and reasoning. Explore different ways for the students to present their mathematical thinking…photograph the combinations, reflection tool or make a tally. The effective planning and teaching of math games requires some tools and resources that are available from my online store. Have fun engaging the mathematicians in your classroom!